Whether you are ready to break into pieces of a chicken from a bazooka? Have you ever - something about how expensive food chicken ? ! The game Chicka war you will see how much chicken can be cruel for the sake of food. To defend food from other chickens , kill all who stand in your way. 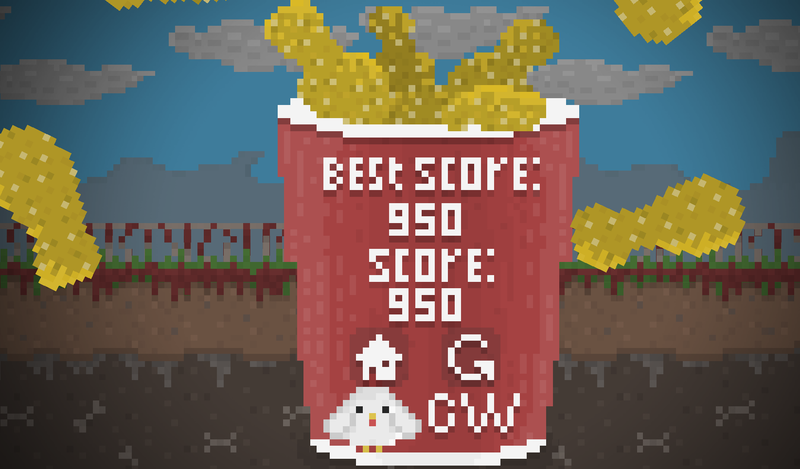 For every destroyed the chicken gets points , which are added together and displayed in the game. Put a new record and share it with the world! Can you be # 1 for the preparation of chicken legs ? All this awaits you in the war Chicka ! hi, i think Chicka Wars looks fantastic. I love funny games. Now i´m finishing the working in other game and it would be great to cooperate with such a promising team. I think my work could fit perfectly in your project. You could listen my music here: https://www.youtube.com/watch?v=pA7fQzZ9gUU Could we talk about it? my email is: cga.sound@gmail.com Thank you. Chicka Wars | Chicken Meat has been Greenlit and is now listed in the Steam store. For the latest information, purchase options, and discussions for Chicka Wars | Chicken Meat, please see it on the Steam Store or in the Steam Community.